What Are The Best Sunglasses for Heart Shaped Faces? Scratching your head about what are the best sunglasses for heart shaped faces? Well, here’s the brief answer: To balance out your facial structure and make your jaw appear a little wider, you want to look for sunglasses that accentuate your high cheekbones and defined jaw. For women especially, the frames should detract from the broadness of your forehead. The pair you select should extend beyond the forehead and end lower on the cheekbones. Not sure if you've got a heart face shape? Step in front of the mirror and take a look for yourself. The hallmark of a heart shaped face is a wider forehead that spreads out to both sides. with slanting cheeks ending in a narrow, sometimes pointed jawbone. Combined, these features can appear delicate and very attractive due to the easily defined structure of each plane. Sunglasses for heart shaped faces are easy to come by thanks to the versatility of that particular structure. So, what else should you consider when finding the right pair for you? What types of sunglasses look good on heart shaped faces? With their upswept tips, wayfarers appear wider and broader than the width of your forehead. This subtle contrast will make your forehead appear smaller and more proportioned with your chin. Floral frames are cute and lively! They also have the added effect of drawing more attention to your eyes and cheekbones. There's a reason why this masculine classic is so popular. 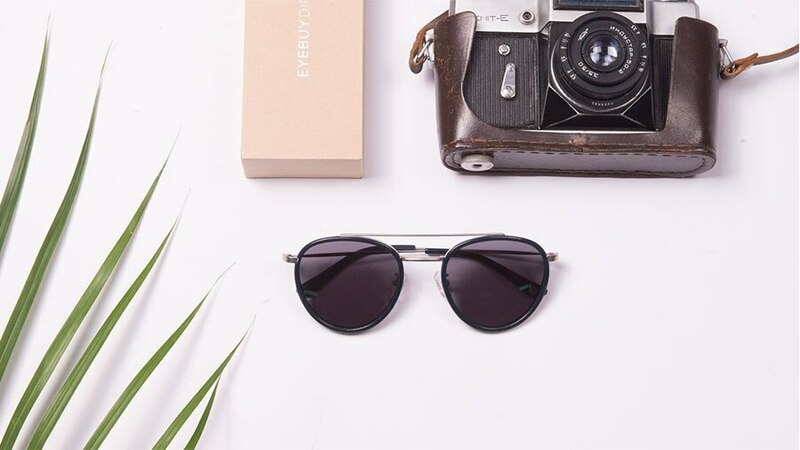 Browline sunglasses create a subtle size contrast between your forehead and frame. Fierce browlines and sharp temples help make your forehead look smaller and more petite. That means cat-eye sunglasses are perfect for those looking for a strong, feminine touch. No matter which you pick, keep this in mind: Lighter colors are best, as the stark or black or other dark shades may be too blunt and make your face look bulky. In terms of lenses, sunglasses for a heart shaped face can have any shape — but larger are preferred. When it comes to sunglasses options, people with heart shaped faces are in luck. The amount of choice they have lets them explore all kinds of categories when shopping for glasses online. With our EyeTry feature, you can virtually try on any pair you find on our website. You can start by checking out our selection of trendy glasses for round faces. Then, hit the "Try On" button to get started. All you need to do next is upload a photo of yourself to see how you might look in the glasses you chose. It's that simple.